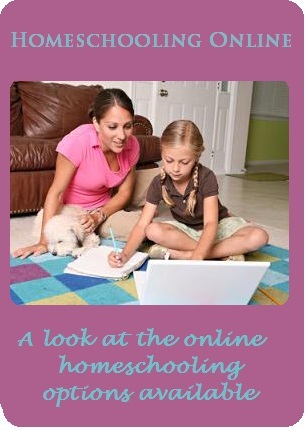 Want to homeschool online? Why not! This can be a perfect solution for busy parents who seek an alternative to the public school system, but have little time to prepare and teach their own homeschooling programs at home. Whether your child takes a single subject that you don’t want to teach or an entire curriculum, even working parents can find a way to home school their children using these virtual schools. In fact, more and more parents are turning to internet and computer-based programs to home school their kids. In a recent Facebook poll that we conducted, 92% of the responding parents said that they were planning to use computer-based curriculum for at least part of their daily lessons for the 2012-2013 school year. Twenty percent indicated that they planned for all or most of the school work to be completed on the computer. Be comfortable using a computer. This is not as good of a choice for very young children who need more personal interaction and are easily distracted, but many of these programs have found ways to engage these younger learners as well. • Alpha Omega Academy –Using the Switched on Schoolhouse platform, students can enroll in this academy, interact with teachers, join clubs and more! • Monarch–Alpha Omega’s online homeschooling option. You do not need to be enrolled in the Alpha Omega Academy to take these classes through the internet. They can be completed from any computer with an internet connection. • K-12 – K12 provides a unique multimedia approach to home education that also includes a great deal of old-fashioned books, workbooks, and instructional materials with automatic grading and record keeping. • Memoria Press Classical Academy– Memoria offers a great online homeschool choice for those looking for a classical Christian liberal arts education. • Bob Jones University Press—Bob Jones offers its curriculum in a convenient virtual school option available for grades K4-12 which includes all needed books and materials. • Time 4 Learning—This program provides daily new multimedia lessons, interactive exercises, assessments, and printable worksheets for math and language arts. RIA High School offers free tuition for residents of San Diego, Imperial, Riverside and Orange counties in California. There are no fees or charges at all for full-time students! Military families relocated to other states or overseas, or traveling students, that still have their residency in one of these four California counties still will not need to pay any tuition, fees, or charges or any kind. There is also a free virtual school for those homeschooling in Ohio with subsidiaries in Colorado and Pennsylvania from OHDELA that even covers your internet connection. 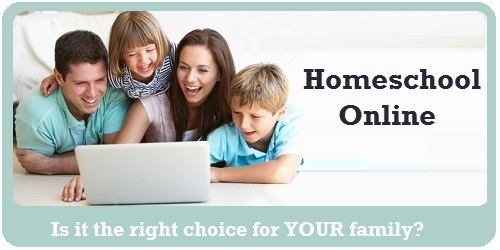 Have You Used Any of these Online Homeschool Options? Help other parents like you! Submit a review now!